June was full of award shows, red carpets, athletes and celebrities who either sank or swam in terms of style. A great deal of this month’s stunners come straight to us from the best of the best on Broadway: the annual Tony Awards. There wasn’t much to diss among the musical theatre stars, celebs and crew. We also saw a few sporting awards, including the NHL and NBA. The star makes heat waves here in an article from GQ, all about summer suits, and quite frankly, I cannot pass this up. 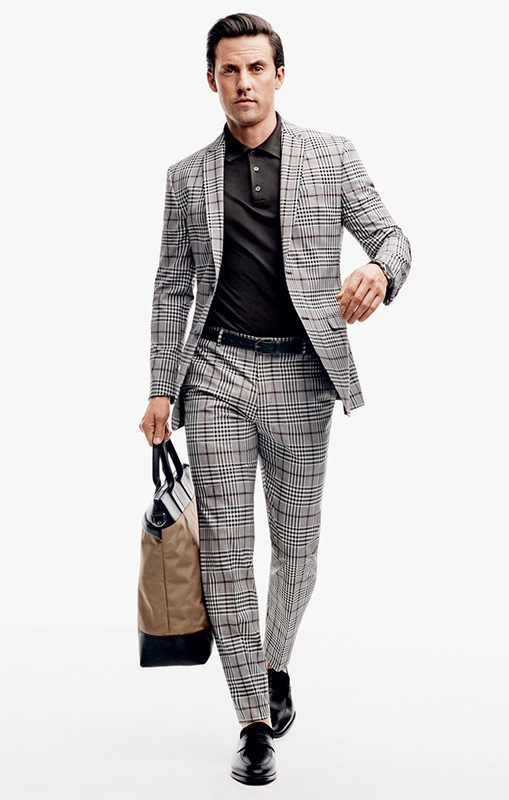 There isn’t one look on this page that isn’t sizzling, but my favorite is the gray glen plaid with the black polo underneath. This outfit is super sleek, sophisticated, and perfect for a breezy summer suit. It also fits him like a dream. As did so many other celebs, John opted for a neat black tuxedo for the annual theatre award show. For his age, the man wears that tux very well. It’s a nice fit, but not too slim, or even baggy at all. He represents the generations of men who still have that sartorial flair that never gets old. 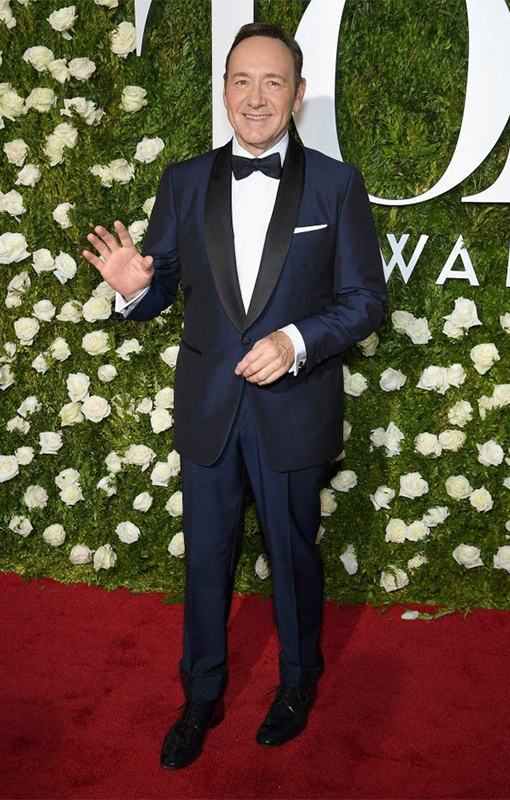 The host for this year’s show impressed with a deep blue tux with black satin peak lapel. Timeless? Yes. Fit? Perfect for a man of Spacey’s talent and age. 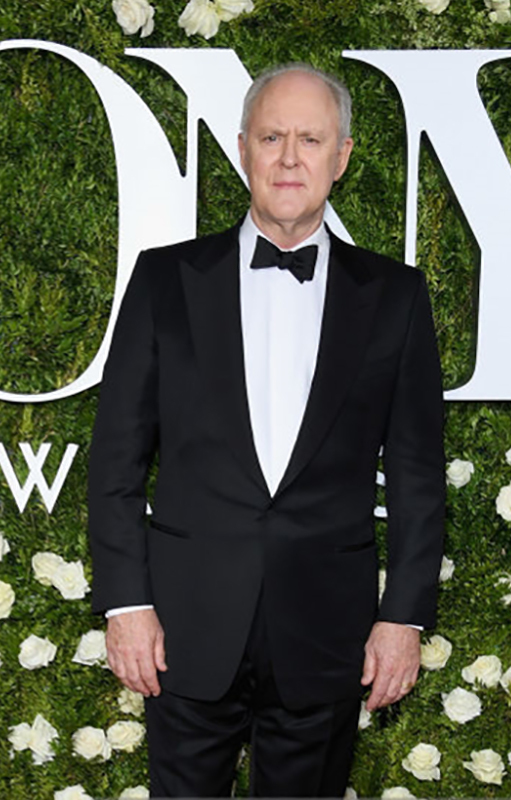 Just like Lithgow, Kevin kept it classic with a bit of an edge, but didn’t overdo it, which seems to be the formalwear trend these days. This color on this “All Eyez on Me” actor looks amazing. Even though he uses burgundy throughout, the difference in fabrics makes the outfit shine. The fit of this suit is quite appropriate, and accentuates his frame nicely. 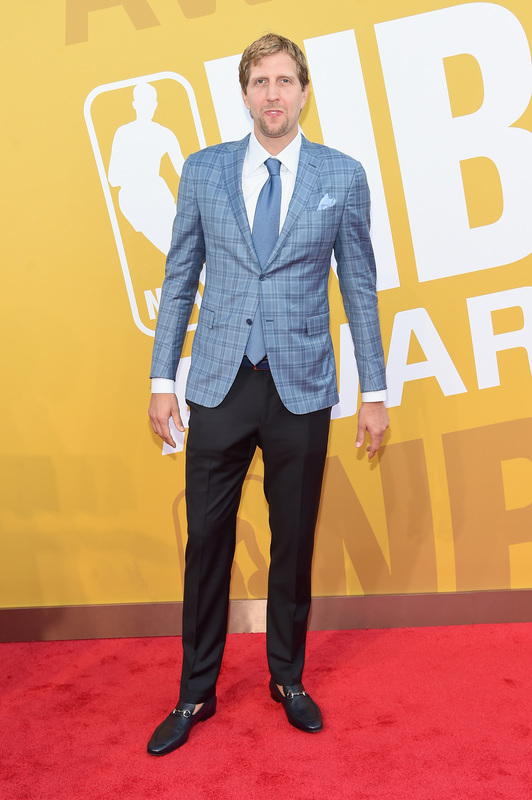 Most men would be afraid of this bold ensemble, but this actor blew away the rest of the red carpet at the BET awards. This is one of the only looks I was disappointed with. It’s like a train wreck that I can’t look away from. 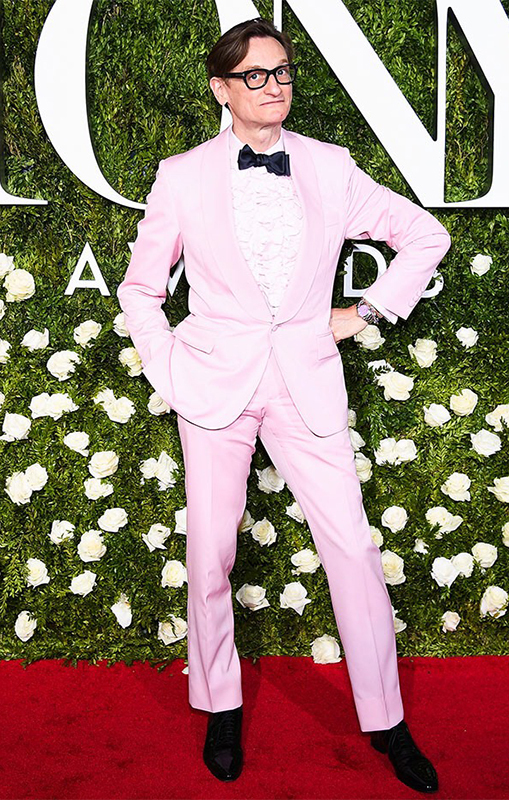 The pink is just too much, and we all know how fond I am of ruffle pleats on tuxedo shirts. This journalist took it way over the top, and even though it’s Broadway, there still should be some decency. Maybe if he sported brown shoes instead, but I’m not entirely sure that would have saved him either. 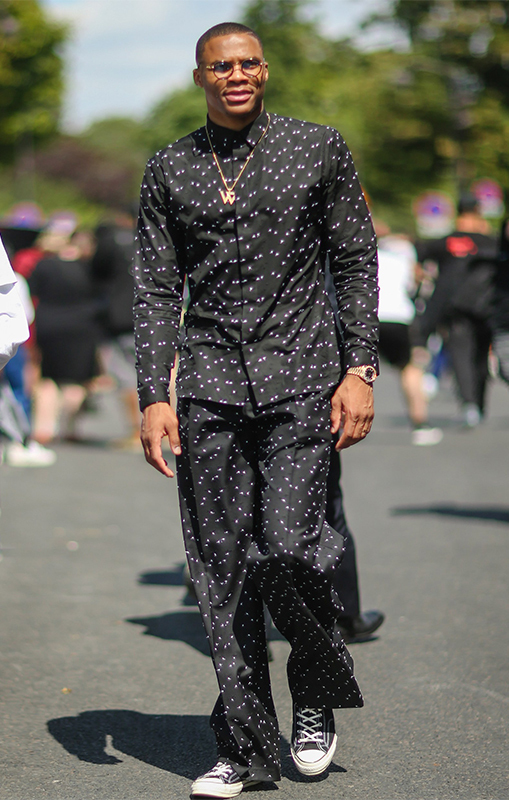 I get that an international fashion week is the place to make statements and stand out, but this NBA star just falls flat. A wide-leg trouser looks good on no man, in my opinion, and is just sloppy. The shirt is relatively fitted, which I think makes the baggy leg idea look even more startling. Please, gents, keep your trouser legs nice and slim, or even tapered. Another example of a bright color gone wrong, the vibrant formal look this hip hop star decided to don doesn’t have too much wrong with it, except for his misunderstanding about buttoning suit jackets (please, leave the bottom button open! ), and the pant length. Gucci spent the evening as a twin for DJ Khaled’s son, Asahd, who probably wore this blue tux better. This 7'0" Mavericks player should know better than to attempt anything other than custom. This jacket is just a little bit tight on him, and is super short overall. Nowitzki also looks like he’s playing for the NFL instead with those linebacker shoulder pads. If only his jacket worked as well as his trousers did, he wouldn’t be here on the bottom of this list.